First Visit | EZ Rehab Physical Therapy, Inc. Here are some general guidelines to help make your initial visit a pleasant and efficient experience. Welcome and thank you for choosing EZ Rehab and Physical Therapy, Inc. for your health and treatment program. Here are some guidelines to follow for your initial visit and succeeding appointments. If you have access to a printer, you may download the forms and complete what is applicable to you, and bring them to your first appointment. Please take the time to answer the questions as accurately as possible. These are the basic forms that we will require, and additional forms will be provided depending on your particular situation. If there are any questions or concerns, you may discuss those at your visit or call us at (415)-381-9030. If you need additional information or have questions or concerns, please do not hesitate to contact us by phone at (415) 381-9030. Check with your health insurance provider to review your benefits, coverage and co-pays. Arrive 20 minutes early for your first appointment since there will be paperwork that you will need to complete prior to seeing the therapist. Dress comfortably in loose-fitting clothing and appropriate shoes. First appointments are generally an Evaluation appointment and takes between 60 – 90 minutes. Please allow sufficient time in your schedule. Bring your calendar so that you can schedule future appointments. If you do not have insurance or have a visit co-pay, we will require payment at every visit. We accept check or credit card as a form of payment. 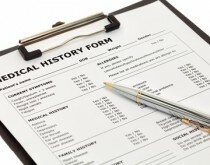 Your physician’s prescription generally involves a number of therapy visits for a treatment plan. We request that you always bring your calendar on your visits so that future appointments can be scheduled ahead of time. Keeping these appointments is critical to the success of your treatment program. We understand that situations may arise that make it difficult to keep all of your appointments. If you are unable to make an appointment, we ask that you give us a 24-hour notice of cancellation. Because of tight patient schedules, there will be a charge for same day cancellations and no shows, as stated in our Office Policy.